1. Revell have now released their 1:72 Eurocopter Tiger UHT/HAP, #04485. The new moulding looks very good, with the fine recessed panel lines that we have now come to expect. Choices of weapons, stores and avionics are provided as appropriate for the two different versions. You can see photos of all the parts and the decal sheet in the Hyperscale review of the kit. Markings are provided for seven machines present at the Franco-German Pilot School at Le Luc, in October 2006; 74+04, 74+07, or 74+08 for the grey/green/green UHT and F-ZWWY, ATA, ATB, or ATE for the black/brown/OD HAP. 162554 / QT / 440 from HMT-3039, also Camp Pendleton, in 1992, painted in a grey and sand camo scheme. 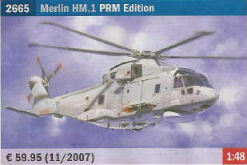 Revell have also re-issued their 1:144 Puma 'RAF', #04020. 3. 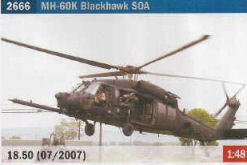 The two new 1:48 Blackhawk variants from Minicraft have appeared, and those hoping for any extra parts in their boxes (in comparison with the original issues) have been disappointed, despite what the cartoon-style boxart implies. 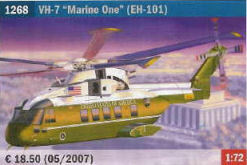 These are #11642 'Marine One Presidential Helicopter, and #11644 'UH-60L Blackhawk Medical Evacuation'. You do get new decals of course. 4. While we wait patiently for the Halo to emerge from OKB Zvezda, test shots of another 1:72 kit of the Mi-26T has appeared from a different Russian company, South Front. This appears to be their second aircraft kit, the first being a 1:48 LaGG 3 series 4. 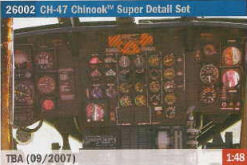 The decals are by Begemot / Behemoth, and release is due "early 2007". "PRM Edition" refers to the inclusion of a Photo Reference Manual with these kits. 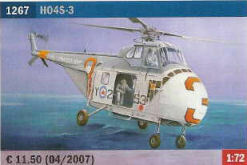 Belcher Bits have promised some decals and probably some resin parts to go with the 1:48 Merlin, presumably looking towards the Canadian CH-149 Cormorant version. 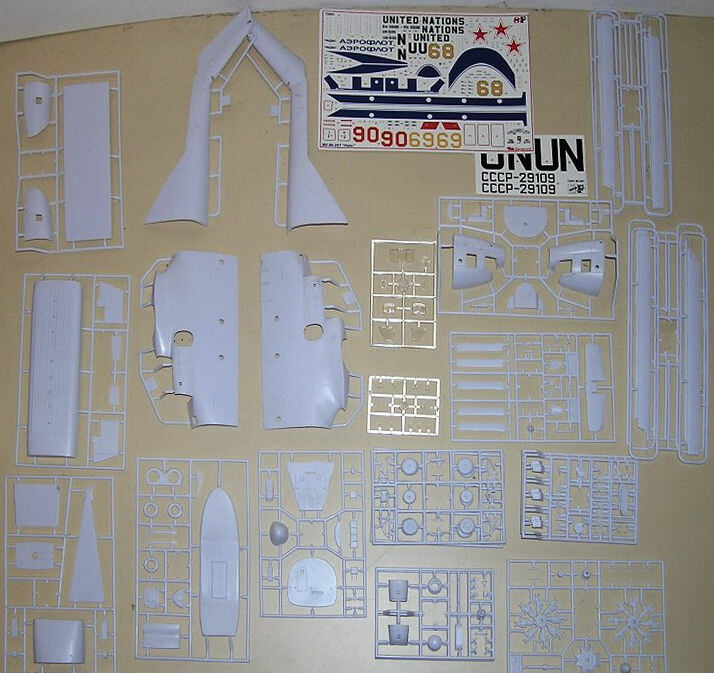 6.In HKN #225 I didn't have full details of the decal options offered in the OKit Mi-2 kits. 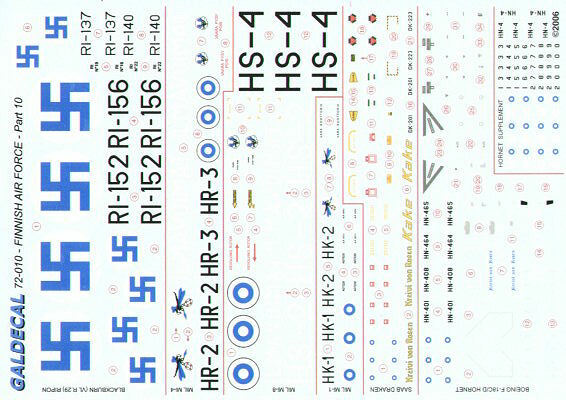 I note that these kits are now being offered by Hobbylink Japan, where the description of #72301 'Post Cold War and Exotic Scheme' says "The decals are crisply printed with a surprisingly wide range of options: a US-operated aircraft; a United Arabs Emirates Police helicopter; a Mexican Navy helicopter; an aircraft operated by Red Star Aviation of Turkey; an Aeroflot helicopter; a helicopter of the Belarus Airclub; a Polish Medical Service helicopter; a Polish rescue helicopter; a Greek Medical Service Hoplite; an aircraft operated by Ace Aviation of Poland; a German Police helicopter; and finally a German Luftwaffe SAR helicopter." For #72300 'Mil Mi-2 Hoplite Warsaw Pact & Air Force' the options are "four Czech Air Force machines, three in the new scheme of brown and two grays with lo-vis insignia and one in the old scheme of green, brown and gray over light blue, with hi-vis insignia; a Polish Air Force Hoplite; a Polish Army helicopter; two Slovak aircraft in the old scheme of brown, black and two grays and one in the new scheme of light green and dark green; an East German Air Force helicopter; a Hungarian Air Force aircraft; a Soviet Air Force machine; and finally a Bulgarian Air Force aircraft." "The first run of the canopies is in production and will hopefully be available by the end of February. They are mastered by Dave Lochead. They were then framed and vacuformed by Falcon Canopies so the quality should be excellent. The new canopy will have the proper bulge and the proper canopy framing. They can be cut apart and positioned open but will come as a one piece affair. This should be the last thing to bring this ancient kit up to date and modern standards. If I can swing it there may be some additional parts that I made for the older kits that maybe included as a bonus. They are the anti-collision light and the oil tank vent. The set will be marketed under the Werner's Wings: Big & Small, Inc. brand. In my opinion, you need the Cobra Company cockpit set, and the armament, especially the XM-35 system, and the Fireball Strella set and tail rotor conversion for later models. The Eduard set is nice but not necessary." Keep an eye on the HKN Forum for further updates. 8. 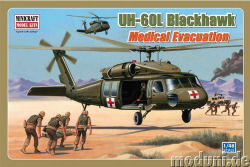 Eduard's January releases are limited to one Big Ed set, #BIG3245 for the 1:35 Academy Blackhawk. Included in this set are the three etched brass sets 32-157, 32-575, and 32-578, plus the masking set JX061. 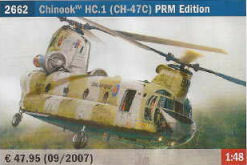 February will bring #BIG3247 for the 1:35 Trumpeter CH-47A Chinook. 9. 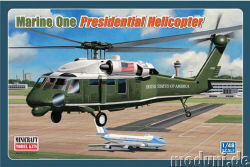 Trumpeter are planning release of a 1:35 '2003 US Army Helicopter Crew' set sometime in 2007, item #TSM415. No further details available at present. 11. 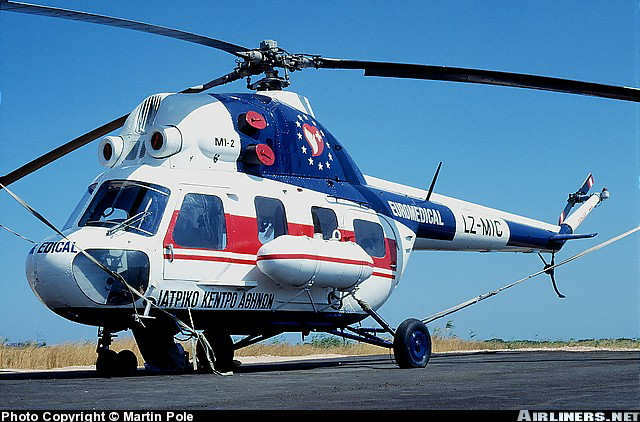 AviationGraphic.Com is a priceless source for profile artwork of both Italian and other helicopters. 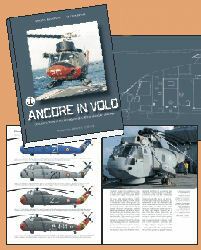 Take a look at their bookstore as well and in particular note the new book Ancore in Volo, Cinquant'anni di elicotteri della Marina Militare Italiana 1956 - 2006 (Anchors in Flight, Fifty years of Helicopters in the Italian Navy), by Stephano Bagnasco and Ugo Crisponi, 184 pages, 113 color profiles and line-art drawings, 200 photographs. This book looks in detail at every helicopter used by the Italian Navy, from the 'Magnificent Seven', the first AB-47G's, to the new NH-90 now being delivered, with many previously un-published photographs, and with superb artwork of every colour scheme ever used. It concludes with a section on modelling Italian Navy helicopters.